Port, also known as Vinho do Porto is a Portuguese fortified wine produced in the Douro Valley in the northern provinces of Portugal. 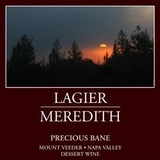 It is a sweet, red wine usually served as a dessert wine but can also be found in dry, semi-dry and white varieties. Sherry is a fortified wine made from white grapes grown in Andalusia, Spain. Sherry is produced in a variety of styles from the Palomino, Pedro Ximenez and Moscatel grapes. Sherrys can vary from light white table wines, darker barrel aged versions and even sweet dessert wines. 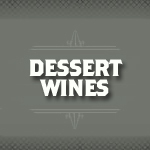 Dessert wines, also called pudding wines are sweet wines typically served with dessert. Having no simple definition, dessert wines are any sweet wine that are consumeda meal, as opposed to sherry which is typically before the meal, and port which is after.